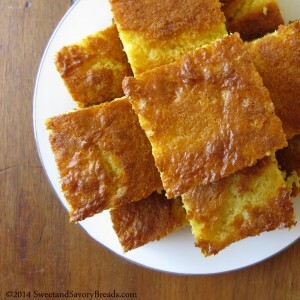 In the spirit of fall, I have decided to create a recipe series dedicated to corn bread. I intend to explore the history, additions, and alterations to the recipe. Over the next 4 weeks I will expand on each of these topics, along with sharing a recipe. 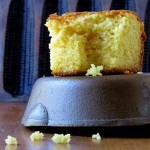 I know there may be a divide on certain cornbread techniques, and since I am diving head first into the topic, please enlighten me of your opinions and experiences! I would love to hear from you in the comments below, or send us an email through our contact page! I will start the series off with my personal history and limited experience with cornbread. To tell the truth I have a hate/love relationship with it. I was not a fan growing up. Something about the gritty-ness maybe? Maybe it was because I wasn't especially enthusiastic about chili which it was usually served alongside. Not even gobs of melted butter could warm my taste buds to the idea. Then, Mom served a recipe for sweet cornbread. Once I tried a slice, my taste buds were heated up to a frenzy. 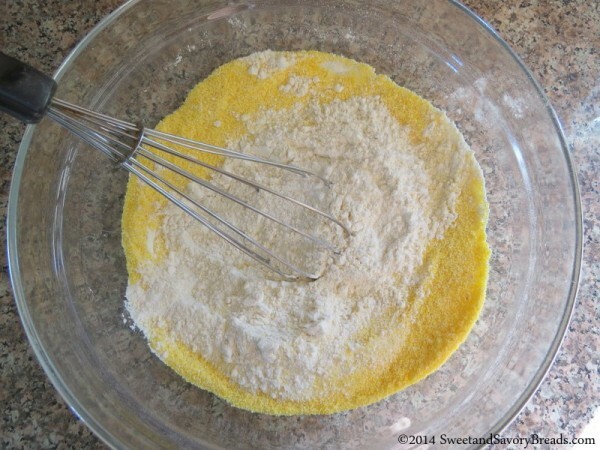 The ratio of flour (high) to cornmeal (low) to sugar (medium) is just perfect. This is the only recipe I have made since. I may or may not be known to wholly skip out on the main dish, and eat solely this. Shh! Don't tell anyone! So, this is my current and limited knowledge of cornbread. I am looking forward to increasing my culinary knowledge on the topic over the next few weeks. I will be sharing what I learn along the way, so follow along, by clicking on our social media links in the top right, or subscribe to our monthly recipe digest in the form in the bottom right! 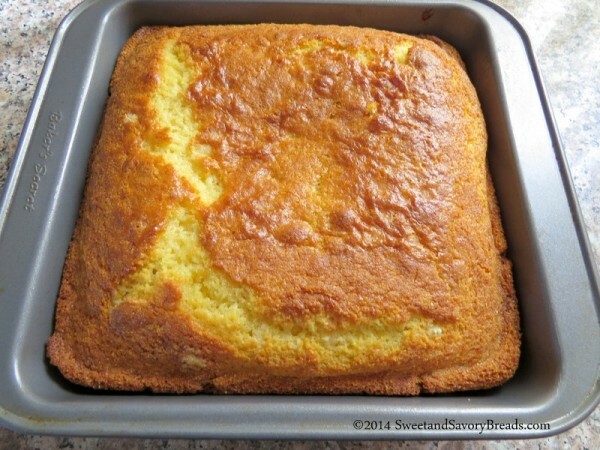 This cornbread is of medium density, has a light brown crust, and has a medium sweetness to it. 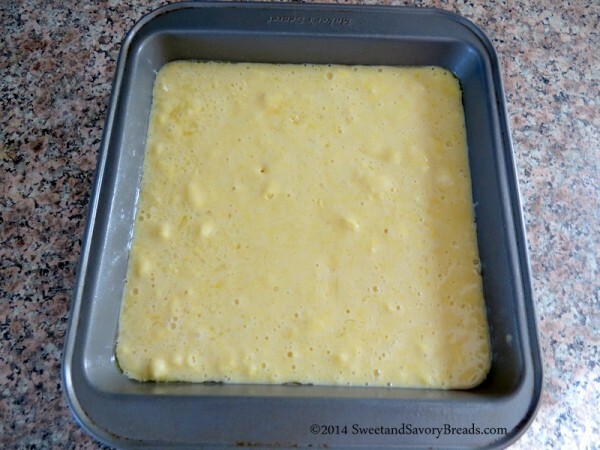 Preheat oven to 350° and prepare 8" x 8" baking pan by greasing with cooking spray. 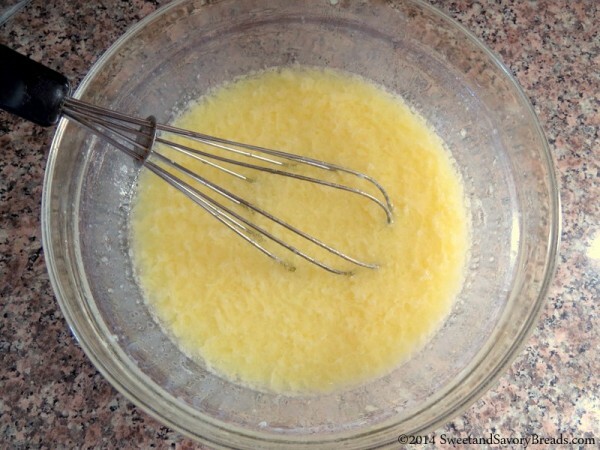 Whisk the four, sugar, corn meal, baking powder and salt in a medium bowl. Add to the flour mixture, and stir just until blended. Pour into your prepared baking pan and bake for 30-40 minutes or until a toothpick comes out clean. Apparently this recipe is originally from the Albers Box and has been on there for many years. Do I overestimate when I think there may be others out there who call this their favorite as well? Posted in Fall Recipe Series, QuickbreadsTagged cornbread, Fall Recipe Series, recipeBookmark the permalink. This recipe looks scrumptious. I love corn bread!